Partial stroke testing is an important safety step to ensure that an ESD (Emergency Shut Down) or HIPPS (High Integrity Pressure Protection System) valve will operate as intended when needed. 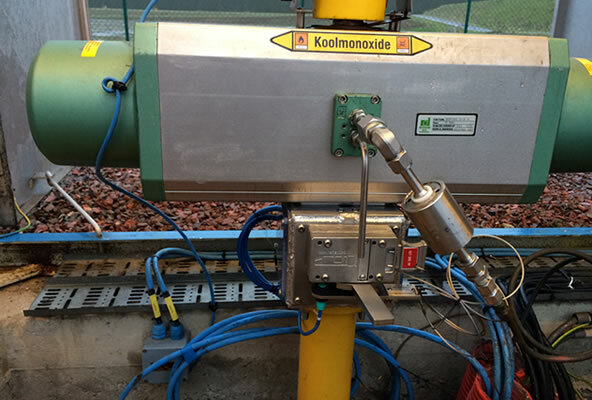 The Netherlocks FAITH (Fail Action Integrity Test Handling) partial stroke test device facilitates the partial stroke testing of valves without any risk of overshoot or process interruption. The FAITH partial stroke test device is mounted between valve and actuator. During partial stroke testing, steel blocking pins ensure that the valve can only turn to the preset test angle (i.e. 20 degrees). This also allows for maintenance during production. The system is available for both linear and rotating actuators. The Netherlocks FAITH enables testing without interrupting process flow. Tests can be carried out more easily and more often, which ensures proper operation and also reduces the deterioration of the valve. International standards such as IEC61508 & IEC61511 highly recommend testing of all the ESD and HIPPS valves on a regular time schedule. An FMEDA done by Exida shows that the PFD AVG value of FAITH comfortably falls within the range ≥ 10^-4 and < 10^-3. Therefore, the FAITH partial stroke testing device is perfectly suited for SIL3 applications. The FAITH is ATEX certified and can therefore be used in any type of process environment, following the highest safety standards. Mechanical partial stroke testing is the only partial stroke testing system system with 0% chance of a spurious trip. For this reason, it is recognized by operators as a comfortable test method on critical systems. The FAITH partial stroke test device physically prevents the valve from moving past the specified test point, excluding the risk of actual shutdown due to trip or overshooting. The FAITH is ATEX certified (EX9 13 09 23953 004) and can therefore be used in any type of process environment, following the highest safety standards.